On this page I am going to reveal the best FPV Goggles of 2016. Everyone needs a good pair of video goggles if they want to see exactly where they are going during a flight. As you probably already know, with the drone industry rapidly growing there are simply too many goggles to choose from. However, this page will separate the good from the bad and will leave you in a much better position when buying your goggles. Further down this page I will also tell you exactly what to look for when choosing your FPV goggles so make sure you read until the end! These are my personal favourite – I take them with me whenever and wherever I go. There are two major selling points of these goggles – they are extremely high quality at a fairly affordable price. 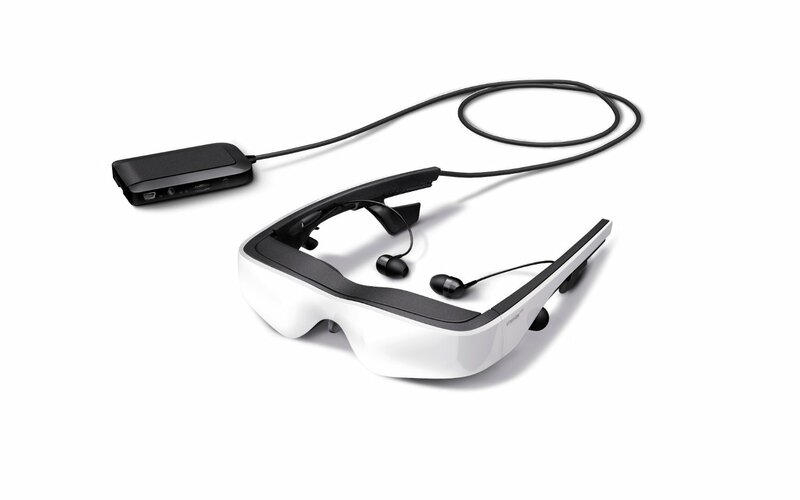 Indeed, these bad boys are bursting full of features such as 3D support, built in DVR and an optional head tracking function. However, my favourites have to be the 50 degree field of view along side the highest resolution possible (currently) of any FPV goggles (coming in at a crazy 800×600). Therefore, if you can afford them, I would defiantly recommend the Fatshark Dominator HD’s. 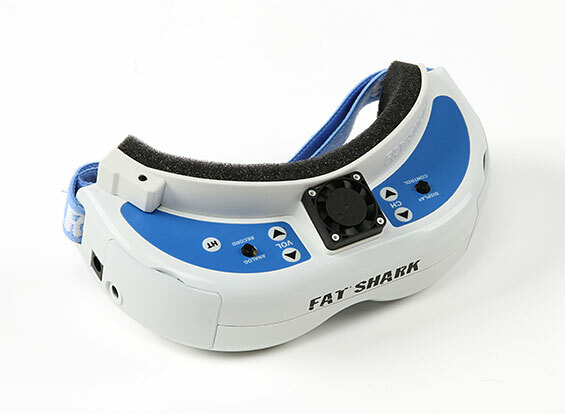 The SkyZone 3D Goggles are a more recent set of goggles that are fractionally cheaper than the Fatshark Dominator HD’s. Whilst the display is not as good (854×480), they are very user friendly as they have different modes making flying your drone a breeze. These include a 2D diversity mode, DVR built in with playback, built-in self calibrating head tracking, and a built in external camera for surrounding view. However, the feature that sets these goggles apart from the rest is the fact that they come equipped with a 3D camera and dual video transmitter meaning you can use FPV in 3D. You defiantly wont reject buying these Goggles! The Ziess Cinemizer’s are slick, classy and will make you look like a complete boss when flying your drone. The 870×500 OLED displays are impressive and I really find that the colour quality on these goggles much brighter and more crisp than most other headsets out there. On top of that, they are also light, comfortable and offer optional head tracking along with an eye shield. The only drawback for me is the price – yes they are fantastic goggles but I don’t think that they are worth $789 – especially when there are other goggles out there on the market that have similar features for a cheaper price. Nevertheless, if you are looking to buy a pair of high-quality goggles that are not only great for FPV but also look aesthetically pleasing, then the Ziess Cinemizers may be the ones that you’ve been looking for. These are a cracking pair of goggles and I would consider them as a ‘step up’ over the Predator V3 (reviewed further down this page.) They have a standard resolution of 600×480 but have a great FOV coming in at 35 degrees. This means that you get a really nice wide picture when in FPV and thus it will immerse you in the flying experience. It also has some handy features such as head tracking and a swappable RF modules. It is also a multi-usage FPV set where you can use many different brands (such as DJI and FPV Fever) and receive a video transmission from them. The Dominator V3 supports head tracking, and swappable RF modules that supports 1.3Ghz, 2.4Ghz and 5.8Ghz (and 43 different channels.) The replaceable video receiver option allows the Dominators to receive 5.8ghz Video Transmission from various brands of video transmitters that include Boscam, DJI, ImmersionRC, FPV Fever etc. You can also record your flight and the HDMI/stereo input/output means you can playback the video with ease. I personally think that these are a really solid set of FPV goggles that anyone, who already has had some experience flying drones, should buy. It’s screen quality however is average (640 x 480) when compared to some of the other resolutions out there on the market. 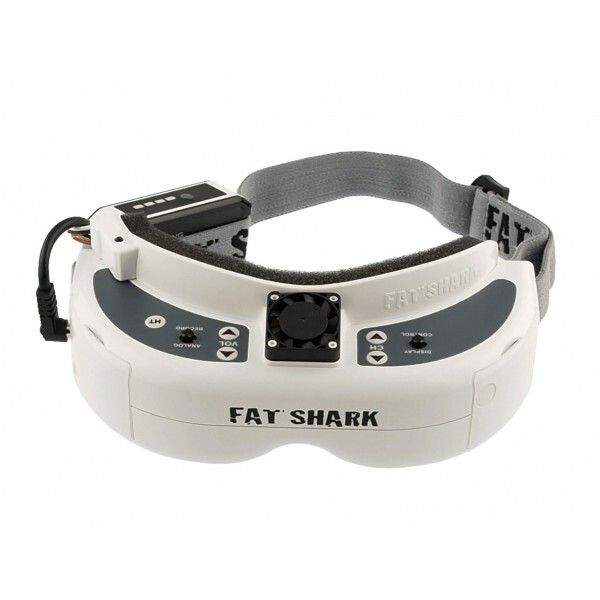 However, I think that the FatShark Attitude V3 goggles are great value for money and those with a bit of FPV experience should buy them. These were the good first pair of FPV goggles that I owned. They are relatively cheap (coming in at $280) dollars and do all the things that you’d expect a decent pair of FPV goggles to do. 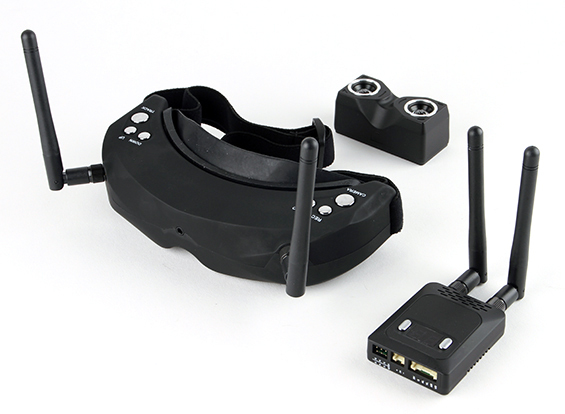 The “Plug and Play” feature allows newbies to quickly setup these goggles and quickly start flying their drone in FPV. If you are new to the drone industry and are looking for a good pair of FPV goggles then defiantly get the Predator V2. So your probably wondering what the downsides are? To be honest, there are no huge downsides to these goggles apart from the fact that they don’t excel in any particular area. For example, they have a 25 degree field of vision which isn’t bad but it isn’t great either. Their resolution is decent coming in at 640×480 and the CMOS camera is of lower quality than the other goggles shown above. 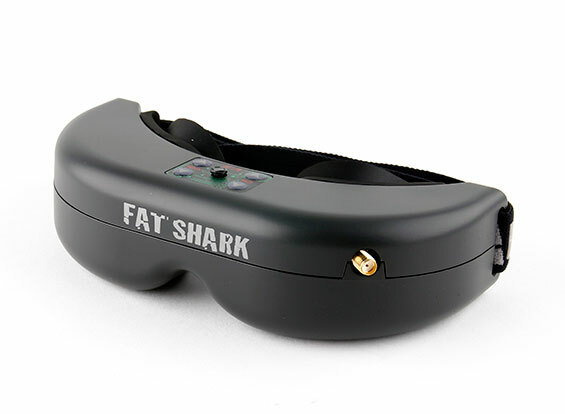 With that being said – if you are an experienced or semi-experienced drone pilot then I think you should be looking for something more advanced than the Fatshark Predator V2. However, if you are relatively new to FPV then these goggles will be great to kickstart your flying experience. These FPV goggles are perfect for anyone who is constantly moving around from place to place on ‘the go.’ Why? Because they are compact and light (weighing just 120g.) However, the lack of weight does sacrifice a few features such as it having no built-in receiver and therefore you need an external VRX to tether the video signal. I personally don’t own a pair of Fatshark Base goggles and therefore I am basing this review on other people’s comments. Some people have marveled over the fact that the 35-degree FOV is excellent and creates a much more immersive experience for the pilot. However, this pair of goggles came out quite a long time ago and therefore the quality of their display (640×480) is not as crisp as some of the more modern models. These are a decent pair of FPV goggles that have dual recievers meaning that it is able to work on both the 2.4 and 5.8 frequency bands. 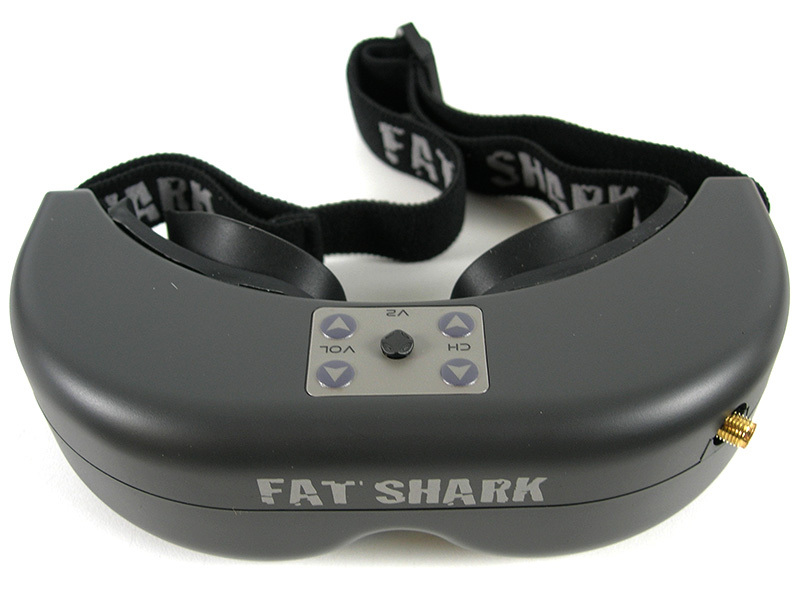 However, it is very important to note that these goggles do not work with FatShark or Immersion RC systems. They have a 32-degree field of view which is very god and a decent display of 640×480. However, its lack of connectivity with other brands is a big no, no for me and therefore this set of goggles has been demoted to 8th. You must not be fooled by the specifications of these goggles because why it appears great on paper, after actually trying these goggles for the first time I was disappointed. The image quality is poor and the lack of colour contrast in the image make the FPV experience very flat and, as a result, its harder to control the drone. With that being said they do have some benefits such as a 720p CMOS camera that records your flight whilst your drone is in the air. I actually found this really useful and FatShark need to get kudo’s for that. Ultimately I would avoid buying these goggles. Yes they are good in some areas but the 320×240 display along with the 25 degree POV leads to restricted vision and a poor flying experience. You’ve probably heard of these before, and rightly so! Instead of spending hundreds of pounds, these goggles let you get the same thing for just $30. However, the image quality is very poor compared to the other goggles and they can are far less reliable too. 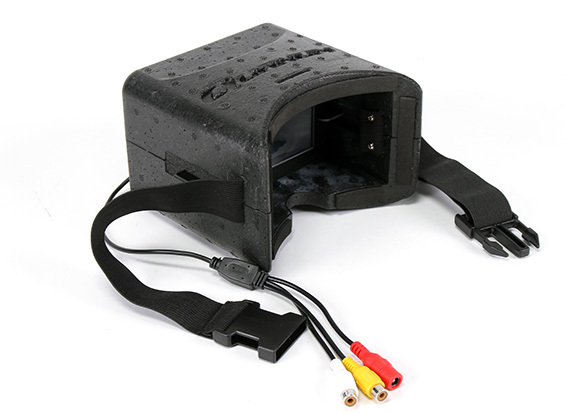 However, for just 30 bucks, the Quanum DIY FPV Goggles are a great way of experiencing FPV cheaply. 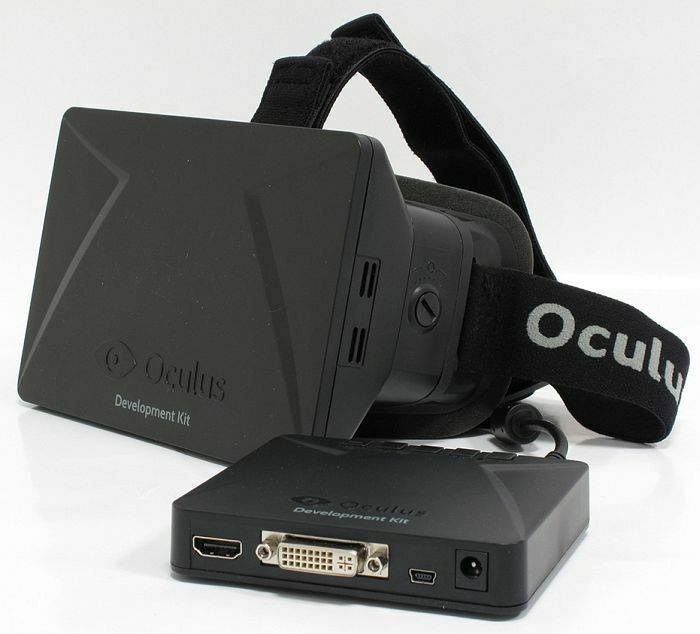 You probably weren’t expecting an Oculus Rift DK1 to appear on this list. Whilst these are not the most practical goggles in the world (I find it too bulky to carry around with me), the Oculus Rift destroys all the other Goggles listed above in certain areas. Firstly it has incredible immersion where by instead of getting 30 degrees field of view (like most goggles have) you get an unrivaled 110 degrees field of view. This will actually change your flying experience and make you feel like you are actually right there on top of the drone whizzing along at 50 miles per hour. It is important to note two things however. The DK1 isn’t made for FPV drones and therefore you will need some way to translate the video signal properly into a format that will display you the Rift (checkout this page for more details). Secondly, avoid the DK2 as it is not for FPV. Thirdly, I wouldn’t buy this as your only pair of FPV goggles – its too big and bulky to take with you everywhere you go. However, if you already have a pair of FPV goggles and your looking to buy another pair then seriously consider the Oculus Rift DK1 – it will give you the best FPV flying experience of your life. Oh yeah… I nearly forgot to tell you that its resolution is an astonishing 1200×800. I would also like to give you guys a little more information on how exactly you should go about choosing your FPV goggles. There are a few key things that you need to look out for in order to find the perfect set of FPV goggles for you. Screen Size: FOV stands for field of vision and it basically describes how big the image is. The bigger the image the better the FPV (First Person View) experience is. 25 degrees is poor 30 degrees is okay and 35+ degrees is excellent. Screen Type: This is less important but still is something to look out for. Most goggles have LCD screens however, if you see a pair of goggles with OLED screens you know that the image quality will be much brighter and more crisp. OLED screens are far more superior to LCD screens. Screen Resolution: This describes how pixilated your image will be. 640×480 is decent and anything below this resolution should be avoided (unless you are new to FPV and want a beginners set of FPV goggles to learn.) Of course, anything above that resolution is even better! Video Receiver Frequency: This is really important. Some goggles come with a video receiver so you don’t need to buy one. 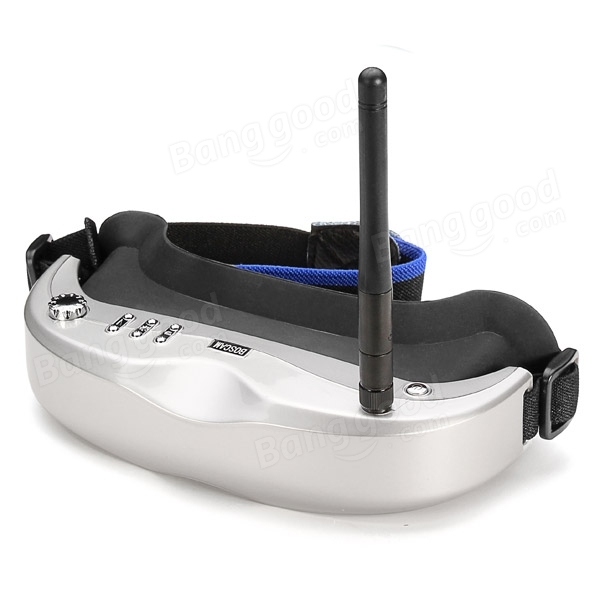 However, some FPV goggles with built-in receivers can only run on one frequency. 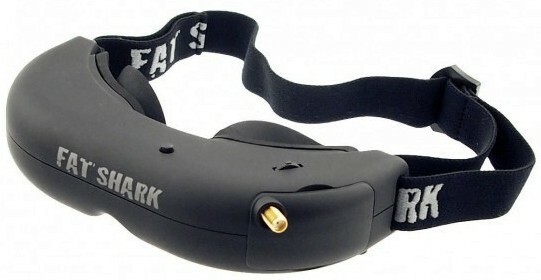 For example, if one pair of FPV goggles can only run on 5.8Ghz then they can only use brands that use that frequency such as FaShark or Immersion RC. Look out for the frequency that the goggles use and decide if it suits your brand. Head Tracking: This lets you couple the drones camera motion to the motion of the pilot’s head. This means that if you move your head left, the FPV camera will also move left (pretty cool right?) This is usually down to personal preference as some people like this feature (the FPV becomes more immersive) but others dislike this feature (they find it easier to control the drone without head tracking.) I personally prefer it and therefore recommend that you look for head tracking in your goggles. Headset Colour: This really isn’t that important however I’ve found that people like to obsess over what their goggles looks like. Subsequently choose a colour that you like but bear the following things in mind: Firstly the darker the goggles, he more they will heat up in the sun and thus they become less comfortable. Therefore make sure you look at alternative colours too, especially if you live in a hot climate. Front Camera: When flying your quadcopter for a while in FPV, you will have no idea on what is going on around you. Therefore, goggles with built in camera allow you to switch between normal sight and FPV sight so that you can react to the environment on the ground as well as the air. Of course, this feature really isn’t that important – you could just remove your goggles for a couple of seconds. However, that is way less cool and if you want to look like an absolute boss when flying your aircraft then having a front facing camera will help you achieve that goal. Batteries: This is another consideration that you need to take into account. Normally, batteries are attached onto the back of the goggles. You will need to replace the batteries from time to time, but in my experience all goggles have a good battery life. Therefore, I wouldn’t overly worry about battery life when choosing your goggles. Price: This is the one that we all care about. It is clear that the price of FPV goggles can vary. Usually they will cost you more than $100 (with the exception of the Quanum DIY FPV). However, if your want some quality in your product (and not just basic functionality) then you are going to be spending around $300 to $600. Obviously, you want to find a pair of FPV goggles that are within your budget and are cheap, however, if they really don’t cost much money then double check the specifications – there is probably something holding them back. But What If I Wear Glasses? So how does FPV work with people who wear glasses because they are long or short sighted? If you are long sited then you should have no problem with FPV simply because of the way the goggles function. However, if you are short sighted then you have a bit more of an issue (which can easily be fixed). Most short sighted people use diopter lenses that adjust your vision so that it works perfectly with the goggles. Thank you for reading this article and the fact that you’ve got this far means you are in a much better position to choose your FPV goggles. If you haven’t flown FPV yet (and have only used a monitor or your eyes) then you need to give it a go! It will literally change the way you use your drones. 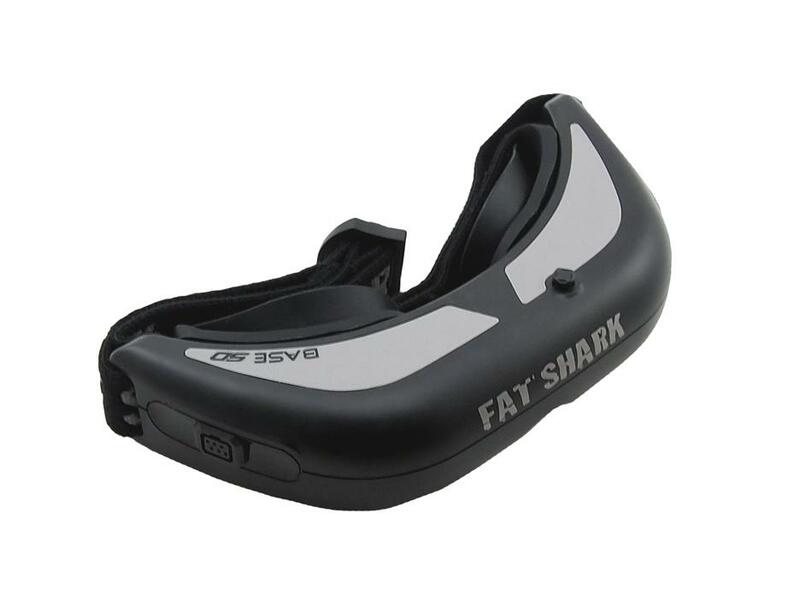 Overall, my favorite goggles are the FatShark Dominator HD’s as their specifications are excellent and they are comfy to wear. I use these goggles every day and from my experience they are reliable and defiantly worth the price. Also, a side bonus is that if you want to sell them later on, FatShark is a trusted brand meaning that you can easily re-sell them for a decent price. Please share this below if you enjoyed it. Thanks! Any comment on Walkera 2 and 3 goggles? I fly a Walkera F210 3D and want to keep all cohesive. Are you sure that FatShark Dominator V3 resolution is 600×480 ? The Skyzone 3D goggles match or beat the dominator’s on every level except resolution. And they cost more, not less as stated.